As a response by the challenge of the international ambassador for of the International Children’s Palliative Network (I.C.P.C.N.) my dear friend Micheline Etkin, I am posting my picture in all my social media outlets, sending emails and any way of social media presence (including this blog post) of a picture of myself with a hat on and using the hashtag #HATSON4CPC in it. TODAY October 2nd/2015 is the day support the incredible work of the international team that continuously care for the good of our children suffering Cancer or any other devastating disease, all our children needing of hospice and palliative care, and by standing with a hat on, I am part of the awareness campaign. For more information, to support this network and create awareness please visit their web site at www.icpcnhome.com. 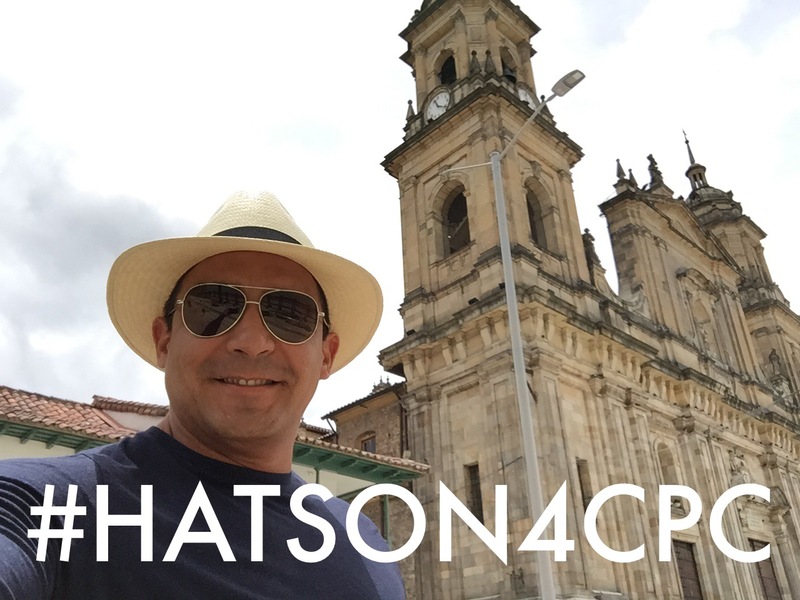 Now, I challenge you to do the same, to post a picture of yourself with a hat on and ON THE PICTURE use the hashtag #HATSON4CPC and use any social media you are signed to create awareness. Please, paste this message to challenge other two or three friends to do the same. We have to find a cure and be mindful of those going through cancer treatments.